Well what should I celebrate,627 friends on IG. OR 312 friends on Google plus.. 226 bloggy buddies?? Mostly just being Grateful to ya'll.. This giveaway is international, There are 3 prizes and 3 winners. ( the washi dispenser isnt international shipment for winner) I want hunt for emails.. so you know the drill. This time I will have my husband pull 3 numbers, just leave a comment. Also, if you are in any of my groups, swaps and I am posting another post for that. I have A fabulous deal for ya. You have to get the 25 % coupon code from me, so just leave it in the comments or email me. Person number 1 gets to leave 2 comments.. Leave any comment you want, but I would best appreciate you clicking on the links from my sponsors and showing them the love. I am making another post to start a swap called #lowvolumefat8swap on IG and Flicker I just need a bit of time to get the document loaded.. it will be fun and we have a fabric discount ..
SEMEASONG BEST TEXTY FABRIC STORE, They have more, but this is where I get my texy goodness. 25% off your purchase of $30.00 or more with coupon code good through March 31st if you are in a swap with me, like the #outlanders, #thesalties, and #agteamcelestial.. I could go on, but will make that another post. 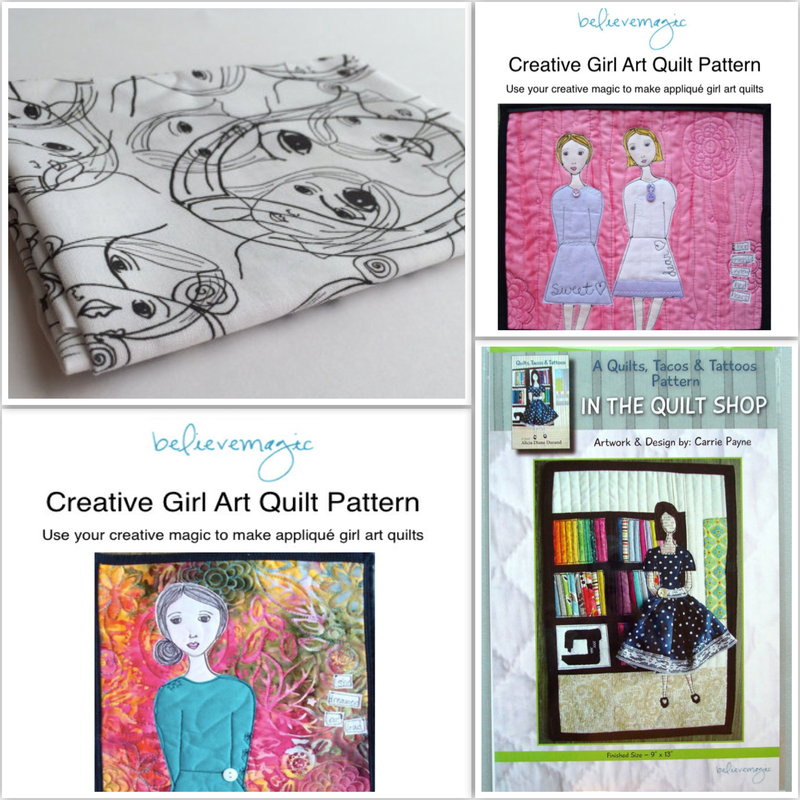 Giveaway from Simplesew, thats me.. Charm pack for someone who likes construction or for I spy block. The Newest Hottest thing on the etsy market that I know of.. of coarse I have one, and I didn't have any tape.. Now I do.. THIS IS MY GIRL... CARRIE WITH BELIEVEMAGIC.. I LOVE HER PUBLISHMENTS AND HER WORK. ALL THIS YOU SEE, SHE IS GIVING IT AWAY TO A WINNER.. CHECK OUT THE TEXY GOODNESS AND SHE SALES MORE.. THAT LINK WORKS. CHECK IT OUT.. WINNERS HAVE BEEN CHOSEN. 7,41 AND 16.. I AM EMAILING YOU MY FRIENDS. I love Carrie's girls - I'm off to check out your other sponsors!! It appears I'm the first commenter - hurrah!! Congratulations on all your milestones!!! Congratulations on your followers everywhere!!! You have lots to celebrate. Congratulations on each of them. Hey, lady! Congrats! You are such a busy bee! Love the robin story. We have taken in 3 teenage boys at different times, all with special needs. Hard work but very rewarding. 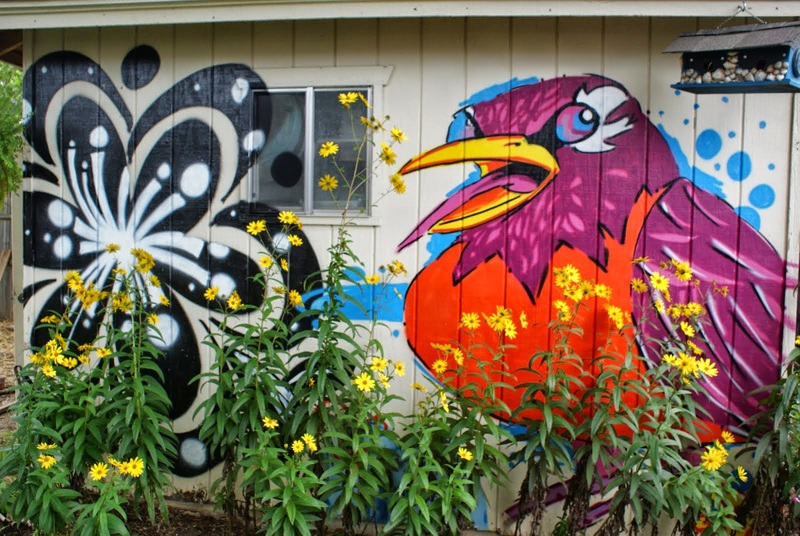 Love the story behind your shed design. Thanks for the chance to win. Congrats! thanks for a chance to win. Thanks for a chance to win these awesome prizes! Love your painting on the garage. May I ask where you are located? Congratulations on all the followers!!!! You are a success...I've allways liked that picture of the robin...Nice to hear the story behind it too...Have a great day and keep warm. Lovely prizes - hope I'm lucky! Cute charm pack-would be great for a little boy's quilt. Thank you for the chance! So many milestones -- Congratulations! I really admire your work...it's very unique and creative. I'd love to make an I-spy book with that colorful fabric! Fingers crossed your hubby draws my number! My grandsons would love the fabric. Your painting is excellent. Oh I love those washi tape dispensers - I saw one at Quiltcon and now I have the Etsy details from you - thank you!!! I love those construction prints! I might have to go look closer at them.... lots of little ones in my life would love quilts made out of them. Love the washi tape dispensers! Haven't made an I spy quilt but I'm sure my 3 year old grandson would love this construction fabric. Thanks for the giveaway. 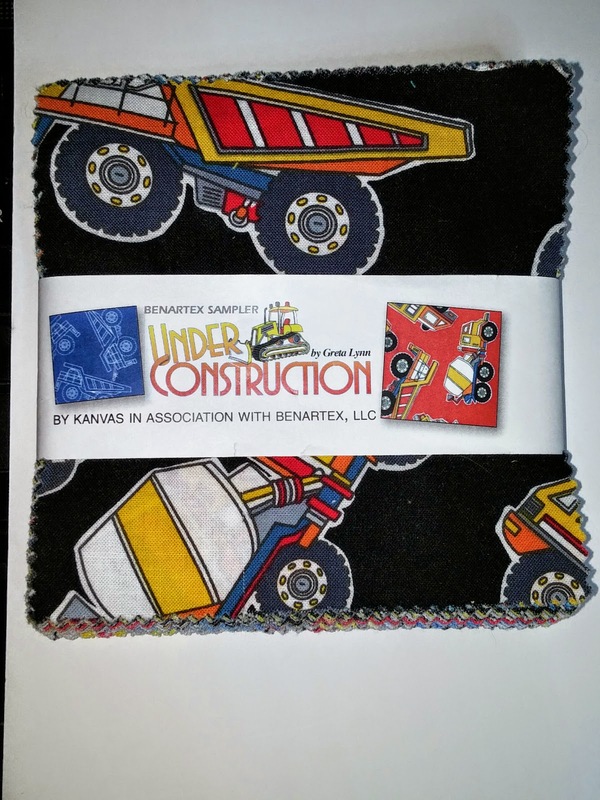 I have been collecting construction related fabric to make nap quilts for a local pre school. 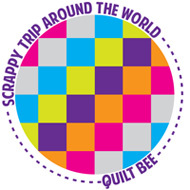 The kids come from low income families and our guild is donating the quilts for this year's charity project. Love the fabric! Congrats on the likes!! Oh well done! I love charm packs - it's nice to see a 'boy' line. Congrats on all your followers! I am a fellow salty 😇! I would love the eye spy quilt blocks. Aaaaa. I left a comment awhile ago but I don't see it. I'm so glad I saw your IG post and thought is better check to make sure!!! So would love to get the fabric for my boy! He is so into trucks. Thanks for the giveaway and congrats on your followers!! Please Browse and enjoy! Let me know you stopped by !